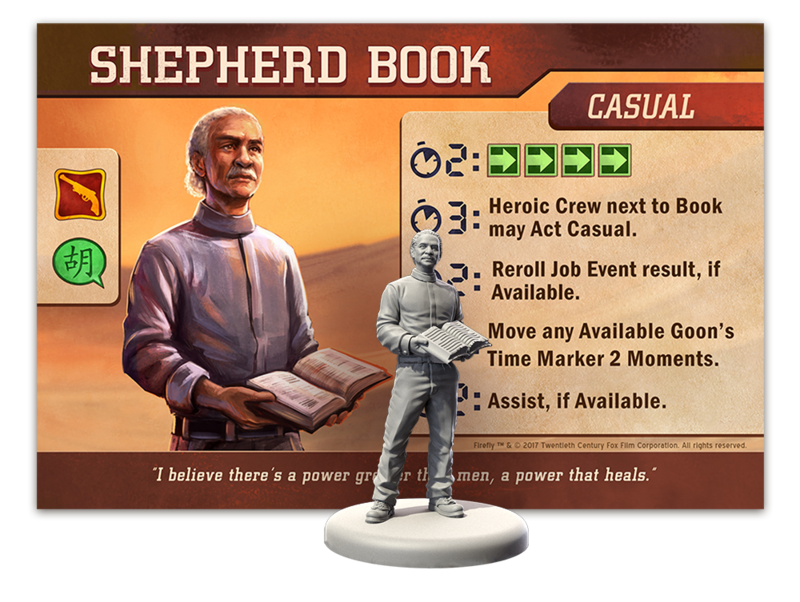 John-Paul dives into the two new expansions: The Respectable Folk set includes companion Inara Serra and preacher Shepherd Book while the Wanted Fugitives set includes physician Simon Tam and the gifted River Tam. Each potential new Crew Member adds new skills and abilities to your adventures. 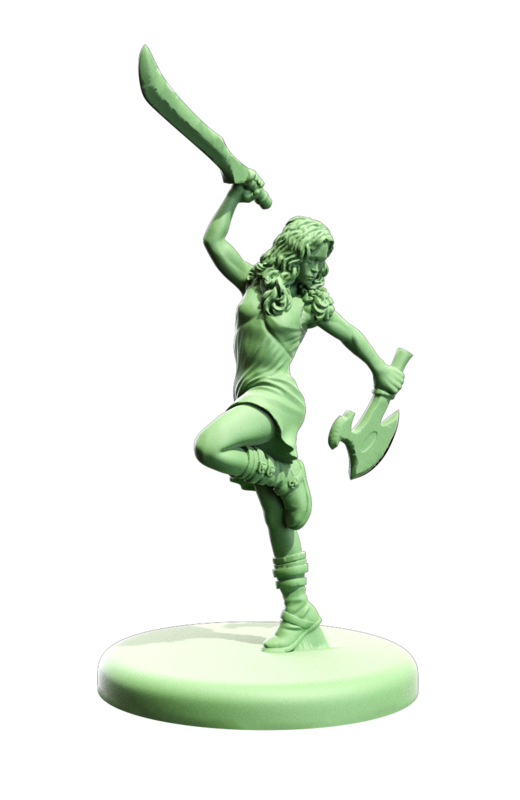 Each Crew Expansion comes with four Crew miniatures (in both Casual and Heroic poses), two double-sided Crew cards, ten Equipment cards, two new Jobs and the box bottom also doubles as a new building. Later this year, two sets of travelers join the crew of the Serenity in GF9’s Firefly Adventures. 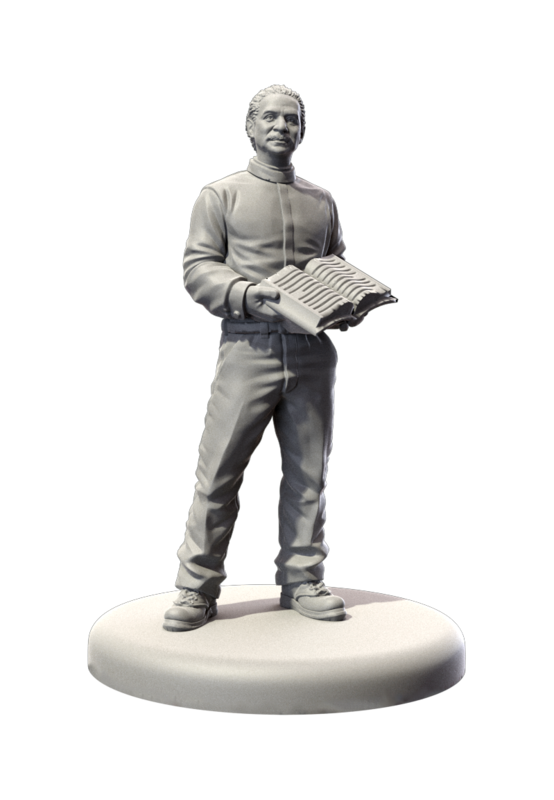 The Respectable Folk set includes companion Inara Serra and preacher Shepherd Book while the Wanted Fugitives set includes physician Simon Tam and the gifted River Tam. Each potential new Crew Member adds new skills and abilities to your adventures. Each Crew Expansion comes with four Crew miniatures (in both Casual and Heroic poses), two double-sided Crew cards, ten Equipment cards, two new Jobs and the box bottom also doubles as a new building. Look for the first two Crew Expansions in stores later this year. 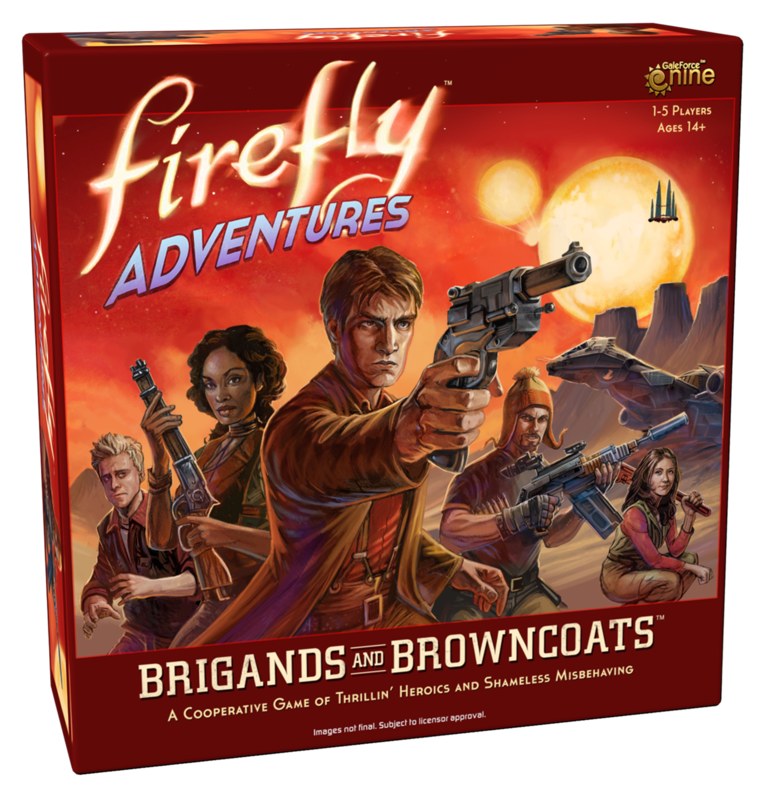 Gale Force Nine returns to the ‘Verse with Firefly Adventures: Brigands & Browncoats, a new cooperative game for 1 to 5 players. Play as the crew of Serenity and use a bit of fast-talking, a dash of technical know-how, a bit of misbehaving and a heaping helping of Thrilling Heroics to make sure the job gets done and you get paid! The setting for Brigands & Browncoats is the rough-and-tumble Eavesdown Docks on Persephone. The game includes unique double-side map tiles and a collection of 3D buildings to create the world for your games. Take cover around the corner of a container building to avoid a hail of incoming fire or squeeze down a narrow alleyway to avoid wary Goons. Will the Crew be able to break into the secure building and get out with the loot in time? 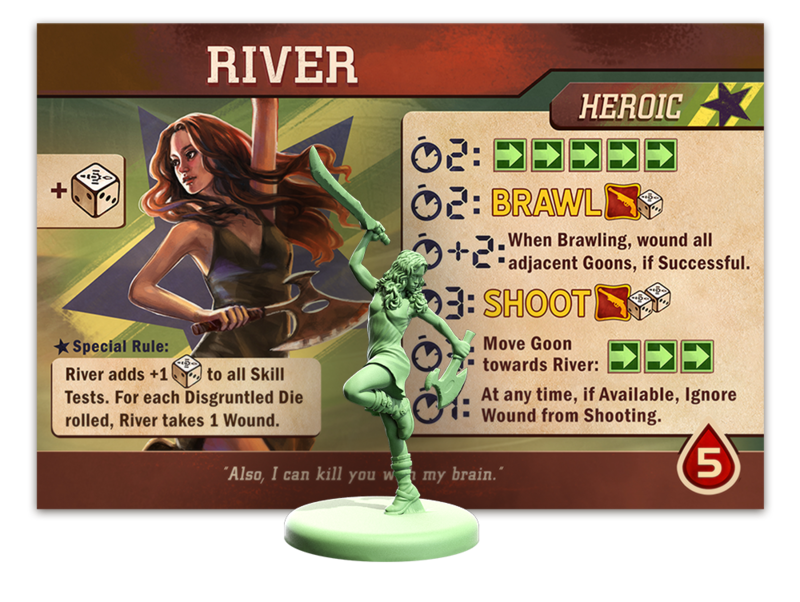 Firefly Adventures: Brigands and Browncoats contains everything you need to play, 20 unique miniatures, equipment cards, hero cards, goon cards, skill test cards, map tiles, 3D building terrain and dice. In the future, the ‘Verse will continue to grow expanding your Crew with some notable passengers and persons while facing off against new opponents standing between you and yours. Getting’ the job done just got more interesting. The Crime & Punishment Game Booster for Firefly: The Game adds a whole heap of new troubles to the ‘Verse. 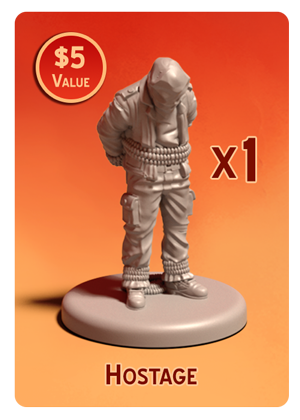 The Game Booster adds 40 new cards to the Misbehave Deck, presenting more hassles, hardships and the rare opportunity to those crews that might indulge in a bit of criminal behavior now and then. With new misbehave cards, your captains are gonna need new aces up their sleeves to get by; be it a piece of gear, the right crew, or the right relationship, just make sure you’re prepared. Of course, when there’s trouble in the ‘Verse, you can be sure the Alliance won’t be far behind, new Alliance Priority Alerts put the screws to all thems that are just trying to make an honest (or dishonest) credit. Alliance Alerts affect the entire game, placing embargoes on a particular Supply Planet, forcing Contacts to lay low for a spell or stepping up Alliance Patrols. When the Alliance comes down, they don’t care who they wind up squashin’. Two new Story Cards cater to captains who are willing to do anything to get by, some times, if you’re a bit lucky, you’ll find that crime does pay. Two new Set Up Cards also change how any game is played, one will make sure you and yours keeps flyin’ while the other one will insure that Alliance is always on High Alert. There’s always new tales to tell in the ‘Verse. Of course, when a captain does a job, they expect to get paid, that’s just business. GF9 will make sure your scores pay off big-time with the Big Money Deluxe Accessory. 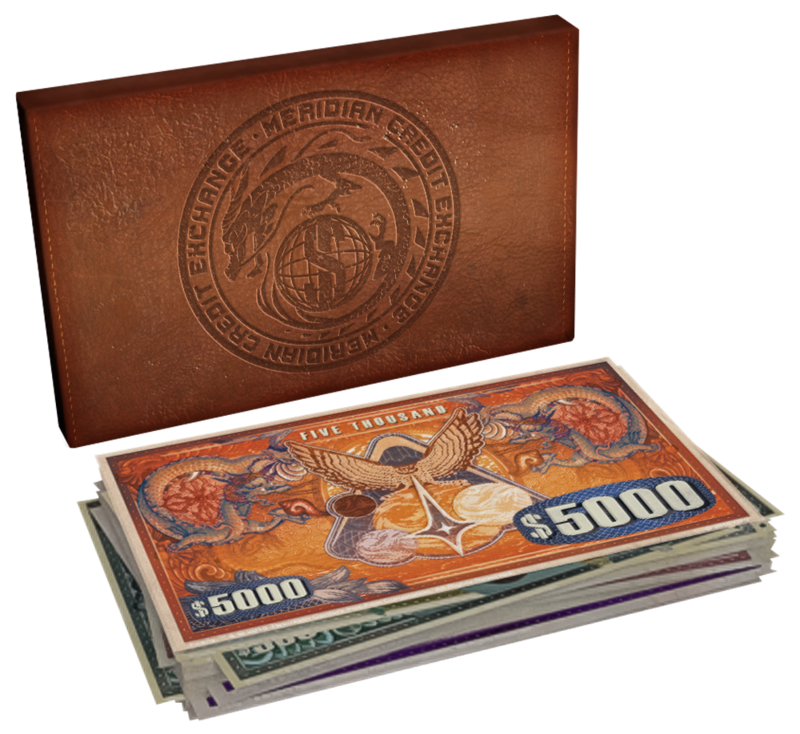 Big Money upgrades the paper money from the game with prop-sized versions of the bills, for a real fistful of credits when the deal is done. 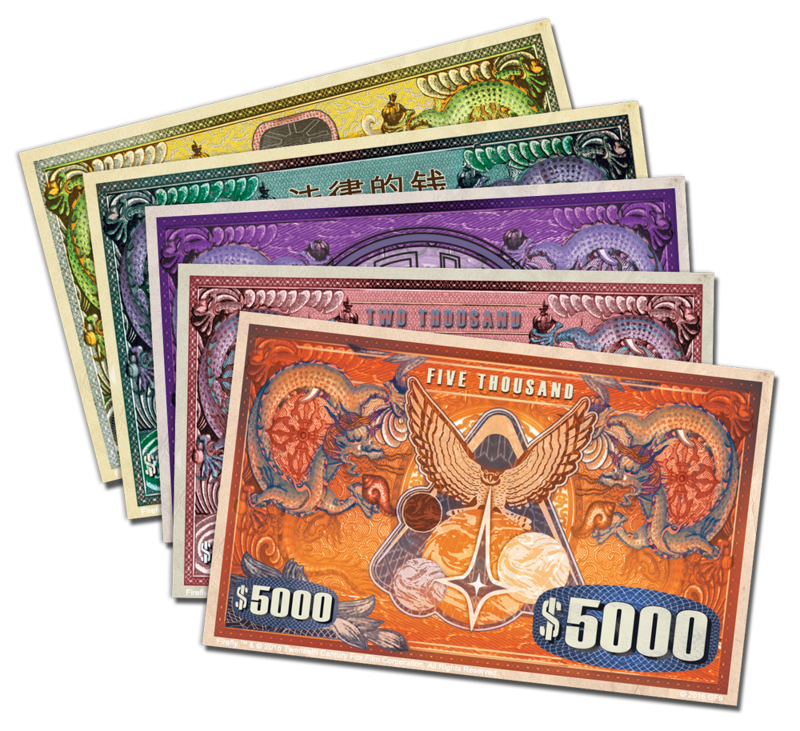 The paper money from Firefly: The Game has always been very popular, and we’ve had lots of requests to make it available separately for gamers, Browncoats and Firefly fans alike. Big Money also lives up to its name with a new denomination, a $5000 credit note, perfect for the biggest paydays. 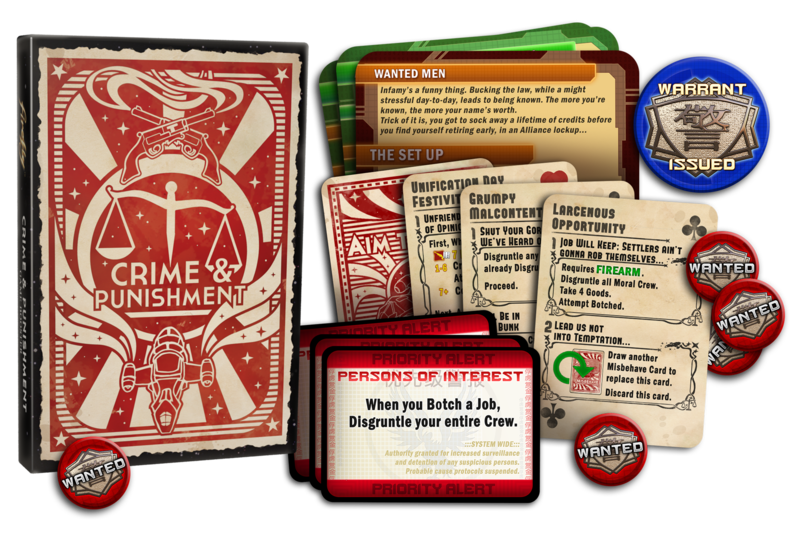 Look for both the Crime & Punishment Game Booster and Big Money Deluxe Accessory in stores now! Buy them from your local shop or via the GF9 online store. GF9’s “Vera” Edition Game Mat debuted as a show-exclusive special this year at Gen Con and was an overwhelming success! Since the reveal of this premium game accessory we’ve been awash in cortex waves from across the ‘verse from eager Browncoats who want to add “Vera” to their game. Now GF9 is happy to offer the “Vera” edition game mat to everyone via our online store! The mat will be available as a print-on-demand item, so it will take might bit longer than usual to fill your order. If you were unable to attend Gen Con or can’t make it to Essen SPIEL, you can still get the best gorram game mat made by man! This beautiful 6’ x 4’ play surface is inspired by the spectacular game tables that GF9 commissions for our events. This game mat is miles more worthy than any table you’d play your games of Firefly on and is sure to become an object of extreme sentimental value. “Vera” is the ultimate Firefly: The Game playing surface. But this game mat ain’t the only shiny thing to add to your game! 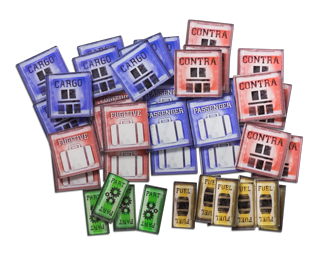 Now your control console gets an upgrade with the Cargo Hold “Shiny” Token Set. Each set contains a set of full-color laser-cut acrylic tokens to upgrade one player’s ship card. These durable plastic tokens make every spot in your Cargo Hold shiny! Stand out from other captains with GF9’s newest Firefly accessory! The Cargo Hold Shiny Token Set is available in the online store. GF9 is also pleased to offer single versions of the Firefly –class transport ship and the feared Reaver Cutter ship from our popular Customizable Ship Models set. These resin ships capture more of the detail of the original ship sculpts and are ideal for players who like to customize their games with hand-painted components. Players and collectors have long-requested that these ships be made available to round out their collections. The single versions of these models are now available via our online store. 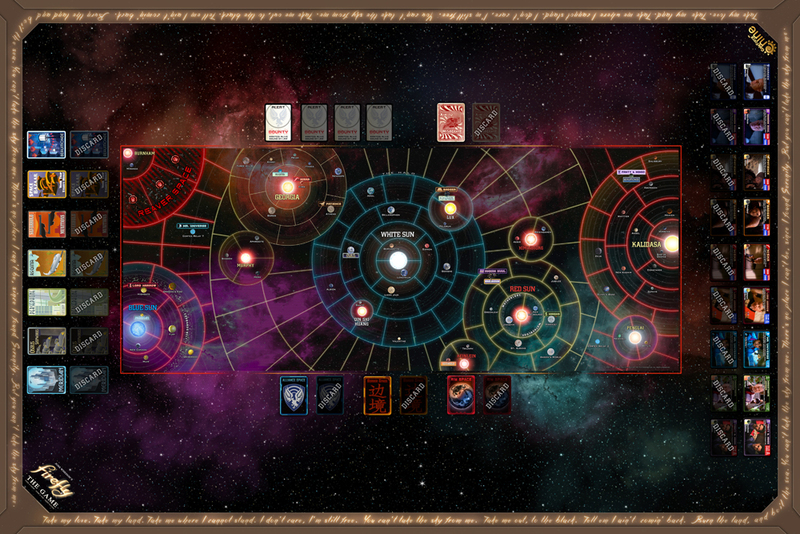 Navigate the complete ‘Verse with the Firefly: The Game – The Whole Damn 'Verse vinyl game mat. Full Burn from the thriving Core Worlds of Alliance Space to the farthest reaches of Rim Space. 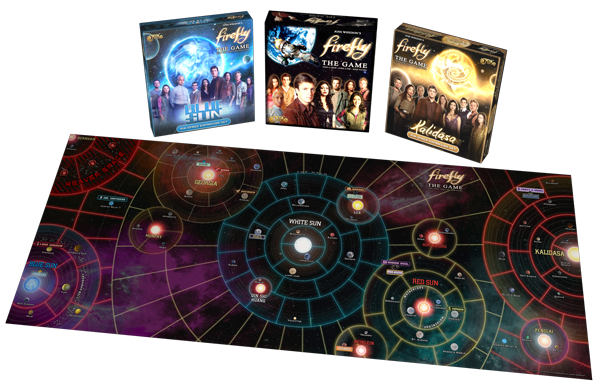 This comprehensive 50" x 20" game mat includes the planetary systems of Firefly: The Game and both its Rim Space Expansions, Blue Sun and Kalidasa. 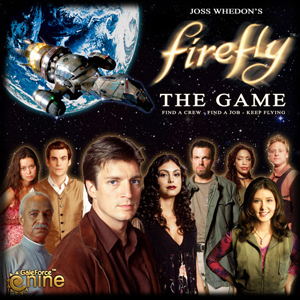 Check out the other great expansions for Firefly: The Game. Firefly, the popular Fox television series created by Joss Whedon, comes to life in a new boardgame from Gale Force Nine. Compelling characters, great storytelling and an evocative universe have made Firefly a fan favorite for over a decade. Now fans of the television show and board games can agario chart their own course with Firefly: The Game. Choose your WWE Superstars! Set the Matches! Dominate Your Rivals! Take on the role of the Doctor, travel throughout time and space, find new companions and have adventures to repair the web of time. Do You Have What It Takes To Pull The Trigger? Stay alert. Be vigilant. Trust no one. Gale Force Nine and GF9 TM Gale Force Nine LLC. Game Design © Gale Force Nine 2014. Gale Force Nine is a Battlefront Group Company. Firefly ™ & © 2014 Twentieth Century Fox Film Corporation. All Rights Reserved.